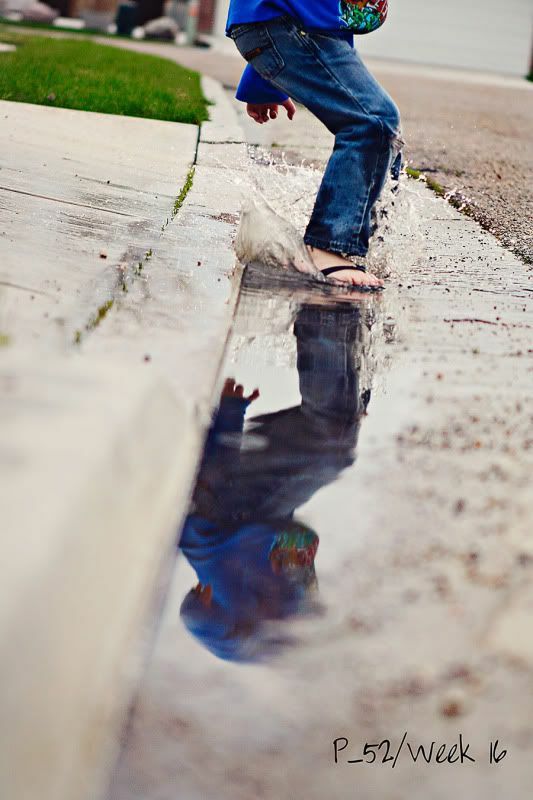 Today I will jump in a puddle, and I will encourage my kids to do the same. I will get wet and we will laugh because if we can't beat the rain we might as well join it. Attitude is everything, right? Definitely yes! That shot is amazing. That looks like so fun - great capture! Love the idea and the image!!! Looks crazy fun!! I can hear the giggling now!